Luciano Kay is a research professional affiliated with the Institute for Social, Behavioral and Economic Research at University of California Santa Barbara (ISBER-UCSB) and The Georgia Tech Program in Science, Technology and Innovation Policy (STIP) at Georgia Tech. His experience and research interests are in economic development, science and technology, and innovation policies. He holds a Ph.D. degree in Public Policy from the Georgia Institute of Technology. He is based in Santa Barbara, California. Luciano Kay is an Assistant Researcher with the Institute for Social, Behavioral and Economic Research at University of California Santa Barbara (ISBER-UCSB) and a Research Associate with The Georgia Tech Program in Science, Technology and Innovation Policy (STIP), Georgia Tech. Luciano's current research interests are technology and competitive intelligence and the use of diverse open data sources to provide business intelligence. His work at ISBER-UCSB (and previously with the Center for Nanotechnology in Society at UCSB) has investigated innovation activities and corporate strategies in emerging technologies and national policies aimed at promoting nanotechnology research, development and commercialization, with current focus on Asia—with emphasis on China—and Latin America. His work also involves developing methods and techniques for data mining and innovation landscape visualization, among others. Luciano's work with STIP has been on diverse policy issues related with economic development, science and technology (S&T), and innovation, with emphasis on nanotechnology research and commercialization activities and their economic and societal impacts, in the U.S. and globally. 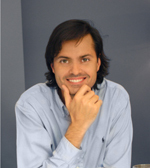 Between 2011 and 2012, Luciano held a Postdoctoral Fellow position with STIP and was Co-Instructor of Geography of Innovation (PUBP 6741) at the School of Public Policy, Georgia Tech. In this period his research included, among others, the assessment of the U.S. Nanoscale Science and Engineering Centers (NSEC) program and the investigation of knowledge acquisition and dissemination flows in the Malaysian economy. More information about these and other projects is available here. Between 2007 and 2011, Luciano was a Graduate Research Assistant with STIP and investigated diverse policy issues related with economic development, S&T, and innovation, with emphasis on nanotechnology corporate research and commercialization, in the U.S. and globally. Luciano's doctoral dissertation, entitled "How do prizes induce innovation? Learning from the Google Lunar X Prize," and subsequent research have investigated the means by which prizes or grand challenges induce innovation, the motivations, R&D activities and technological outputs produced by prize entrants, and the influence of the context in prize developments. His research on prizes has been funded by competitive grants from the U.S. National Science Foundation and The IBM Center for the Business of Government. Luciano's work on prizes has been published in the form of journal articles, policy reports, and the book "Technological Innovation and Prize Incentives. The Google Lunar X Prize and Other Aerospace Competitions". His more recent work on innovation prizes looks at their relationship with the broader context in which competitions are held. More information on research outputs and updates can be found at the Prize Research website. Luciano also held, between 2006 and 2007, a Graduate Research Assistant position with the Research Value Mapping Program (RVM) at Georgia Tech. In the context of this program, he investigated university-industry relationships involving small and medium enterprises (SMEs). In 2009, Luciano received the William H. Read Award for Outstanding Public Policy Student 2008-2009 at the Georgia Institute of Technology. Between 1998 and 2006, Luciano held different positions in the private and academic sectors in Argentina, and worked as an independent consultant to SMEs and NGOs. In 2002, he also started and led his own business to develop hosted content management solutions. Luciano has presented at conferences and given invited talks in the U.S. and abroad and published scholarly articles in top tier peer-review journals (e.g. R&D Management, Journal of Technology Transfer, Minerva.) His work has been published in book, book chapter, and other professional publication formats as well. Luciano has also provided expert input for policy recommendations such as the congressionally mandated biennial review, U.S. National Nanotechnology Initiative PCAST report to the President and Congress. Luciano holds a Ph.D. degree in Public Policy from the Georgia Institute of Technology (Atlanta, USA) with a concentration in Economic Development. He also holds a Licentiate degree in Management from Universidad Nacional del Litoral and a Mechanical-Electrical Technician degree from Escuela Industrial Superior (both in Santa Fe, Argentina). Luciano was born and raised in Santa Fe, Argentina. He currently lives in Santa Barbara, California. Luciano Kay, c. Oct. 2012 at the S.NET 2012 Conference in Enschede, Netherlands.